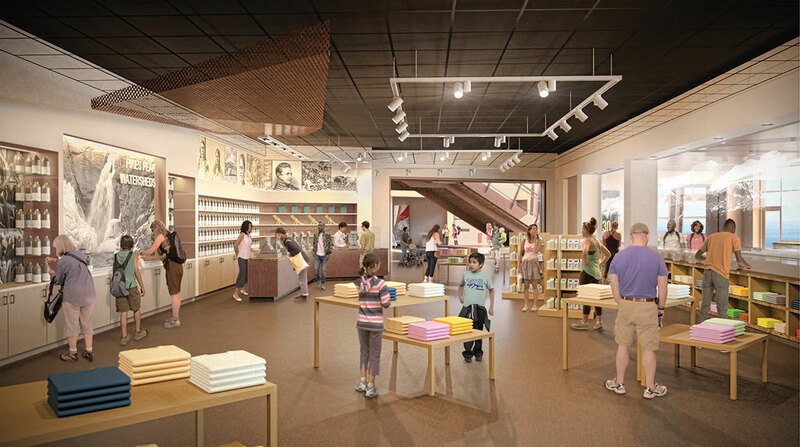 The new 38,000-square-foot Summit House Visitor Center welcomes visitors, providing a breathtaking finale to their journey. The Summit House Visitor Center is poised to live in balance with the unique environmental conditions at the summit. 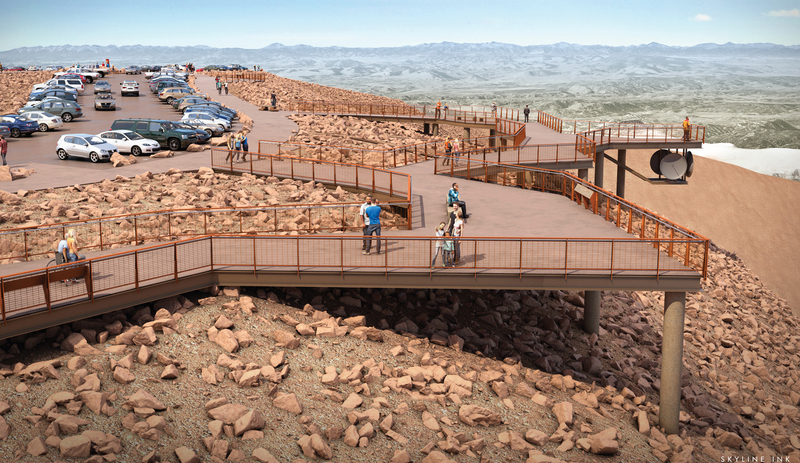 Using sustainable building practices, the visitor center will offer visitors the same pristine, untouched view experienced by the mountain’s first visitors more than 200 years ago. Today, nearly 600,000 visitors arrive at our mountain’s summit each year, contributing roughly $30 million to the local economy. In the travel and recreation industries today, parks, museums, and other entertainment destinations increasingly compete for that most limited commodity of modern life: leisure time. To be competitive means offering visitors the most meaningful, compelling, and up-to-the-minute experience at the top of our mountain. The peak is accessible to all, regardless of their mobility. Those who come by vehicle may travel the 19-mile Pikes Peak Highway or ride the Cog Railway. The new Summit Complex will be ADA compliant. New dining facilities, an outdoor dining terrace, and an expanded gift shop entice visitors to browse our collection of books on area history, wildlife, and the environment; pause for refreshments at the café or at an outdoor dining area; and take photographs of the unequalled vistas from the top. 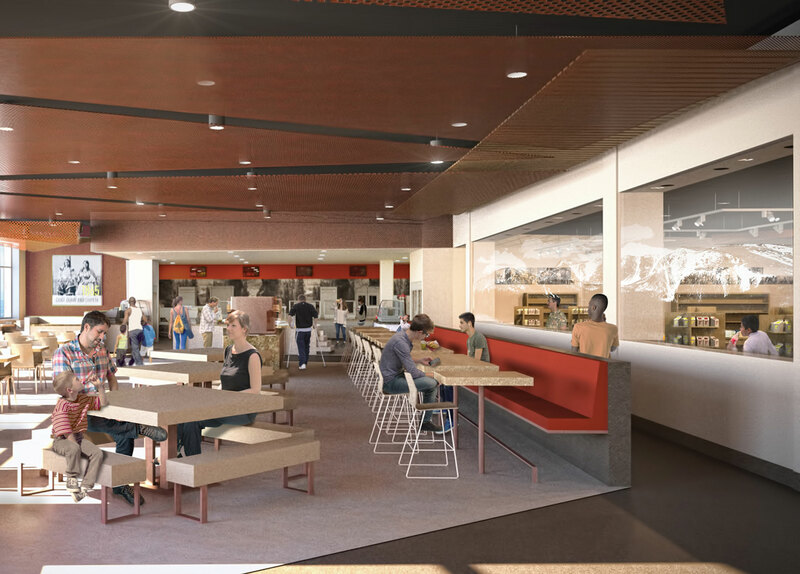 Enhanced dining and retail increase earned revenue to support ongoing operations and invite repeat visits. More convenient restrooms, which benefit those who experience altitude sickness upon arriving at the summit. Enabled Wi-Fi, so that visitors can share their experience on our mountain with family and friends in real time. 162 auto parking spaces, ten motorcycle spaces, and 12 bicycle lockers to be installed for day use. 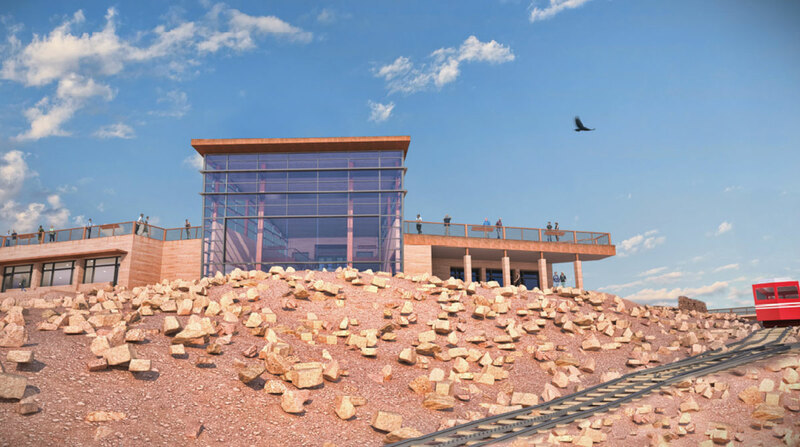 Accessibility via the Broadmoor Pikes Peak Cog Railway, which will run eight trips per day, auto, passenger bus, bicycle, foot trails, and ADA elevators, ramps, and other facilities.